ThemeForest is undoubtedly becoming one of the leading platforms for developers to sell their WordPress Themes. As an independent theme foundry, we want to know more about those who become a success story rather that get lost in the competition. Is there still room to become a successful seller with the incredible number of people joining this community? 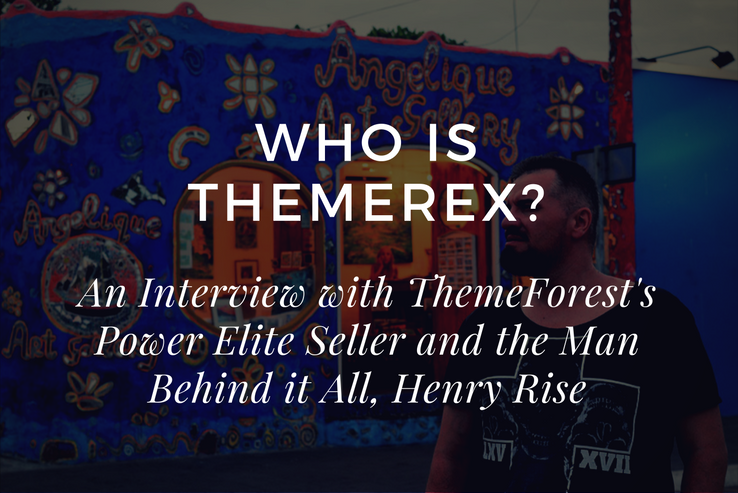 What better way to learn trade secrets than to sit down and have a conversation with one of the top-ranking sellers on ThemeForest: Henry Rise, founder of ThemeRex. 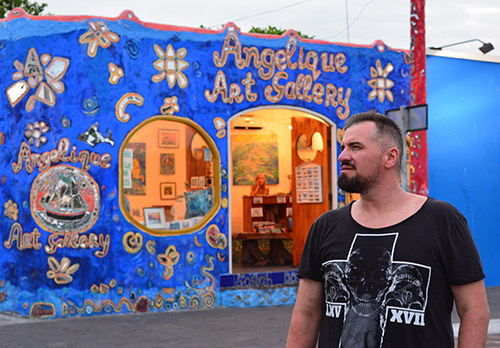 He graciously agreed to share some of his time to explore his philosophy and process of becoming an Elite Seller on Themeforest, along with some advice on emerging trends for future sellers. Let’s explore his insights with a summary of our conversation. Give us a little background about you and your company. ThemeRex was founded by Henry Rise. We started working with WordPress 7 years ago. At first, we were a part of another big template company. However, after several years we decided that it’s time to start doing it on our own. So we separated and started our own company. We joined Envato with our first project, ThemeREX, in 2013. After a while we launched 2 other projects, Ancora Themes and Axiom. Now all of them are quite successful, ThemeREX and Ancora already have Power Elite status, while Axiom is almost there. What is your general philosophy behind the themes you create? Actually, the main choice every professional web developer faces nowadays is whether to develop multipurpose or niche themes. A few years ago this question was not so urgent. 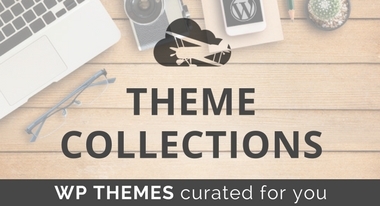 However, when multipurpose themes entered the market, the situation changed drastically. I can’t say that one of these ways is better than the other. 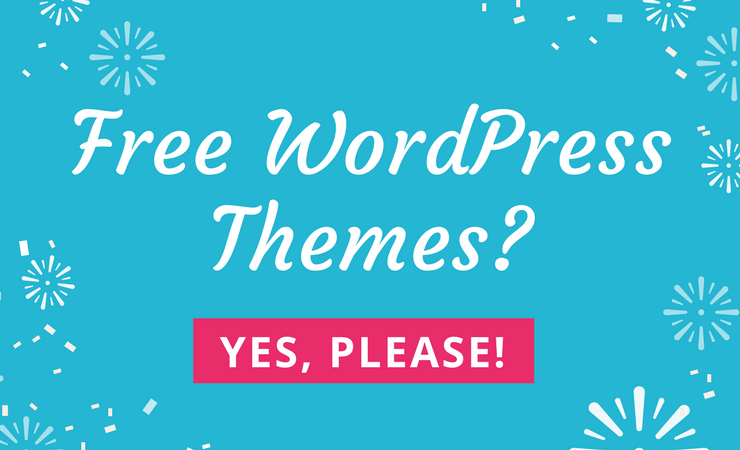 Still, you need to keep in mind that if you are developing a multi-purpose theme you will have to square off with such monsters as Bee Theme, Avada, and Jupiter. Thus, you need to come up with something really extraordinary. We tried both of these ways, and finally, we stick to producing micro-niche themes. Recently, this has become the best solution for us. Basically, we are providing very specific solutions for specific businesses, so that people can get exactly what they need to and quickly build a project for themselves. 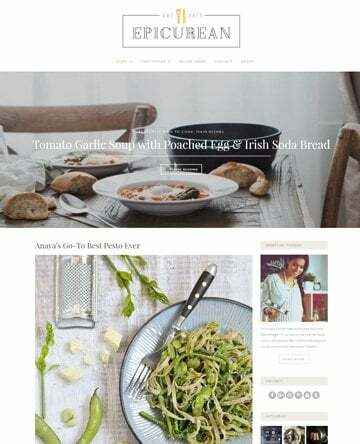 In your opinion, is there a secret recipe to creating a powerful landing page for your themes? The recipe of powerful landing pages is already created long ago. 🙂 First of all, you need to think about the structure. It is better to visualize the most important information. Minimize the text to its essence. It’s good to use infographics or bullet listings to describe the details and key features. Just spice it all up with some nice visual effects, and you’re set. Truth to be said, micro-niche themes do not require that much research. You mostly focus on design and add all the features people are used to having for certain types of themes. Over the last year, we have noticed a rising trend with foundries bundling their themes with Page Builders. What are your thoughts on this? Yes, visual builders are getting more and more popular nowadays. And I don’t see any reason why they shouldn’t. It’s extremely handy. The customers don’t really need any technical knowledge to build their own custom layouts and personalize the theme. Most of the visual builders are created around Visual Composer. 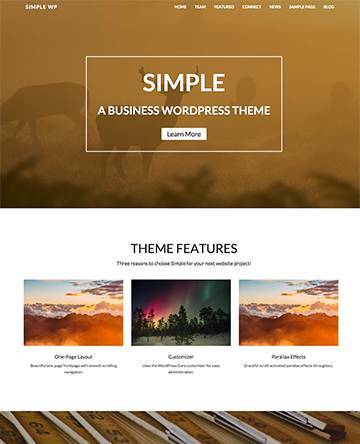 So if the customer has some experience of working with Visual Composer, it would be easy for him to manage any theme with integrated page builder. We integrate Visual Composer in our themes, and we are planning to continue doing it. 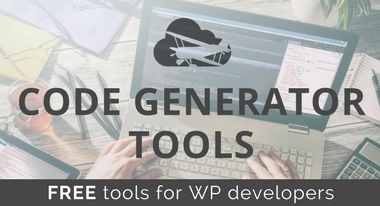 Are you noticing any interesting trends in the WordPress world? 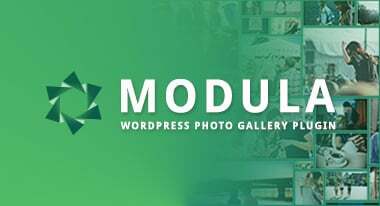 Well, let’s not forget the WordPress itself is a growing trend and it grows very quickly nowadays, especially if you are talking about ThemeForest. Among all the products at ThemeForest, WP themes comprise only 25-30%, but they are generating about 86% of total ThemeForest income. That is a very big factor a one should not forget. WordPress is only going to grow, and the trends are changing very quickly. Nowadays, the most popular design trends all leading to minimizations and using flat design. The responsive design is a must nowadays. However, the latest tendency turns it upside down. Previously, web developers focused primarily on desktop design and made it adaptive to the handheld devices. Now the mobile design plays the key role. Full-width headers are another trend of the last year. Now it is popular to include a video in the header to grab attention. Being an exclusive seller with Envato for 5 years, how would you rate your overall experience with them as a partner? Envato became a rock-solid platform for our growth. When we were just entering the market the competition was not that tough. 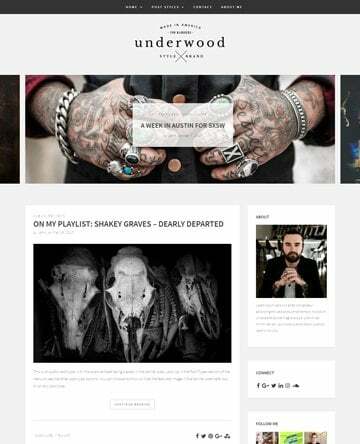 Basically, what we’ve done in the beginning was just adding the blog to portfolio themes, and it worked really well. 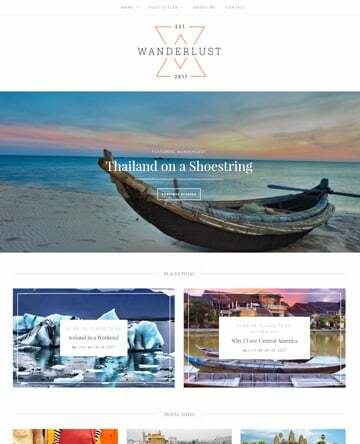 We’ve been always looking in the direction of building a multipurpose WP theme, however, we are still hesitant about that move. Envato provided us with enough exposure so that we could forget about marketing issues and focus on producing the themes. Maybe this was the key point. We concentrated on developing high-quality themes and providing professional support. And eventually, these were the things, which made it possible for us to climb the Envato Elite ladder. You also become a part of the community. You can talk to like-minded people and share your ideas. This means a lot. Envato is a powerful marketplace, perhaps the most powerful in the web design niche. It exposes your product to the biggest relevant audience and this is really great. Of course, there are some nuances of working with Envato. They have certain standards for the themes you want to upload. Each theme is thoroughly reviewed. It is difficult because the reviewers sometimes are too subjective. The communication with Envato support is a peculiar process. Sometimes it takes a while to get an answer to your question. However, we got used to it and we understand that they are having hard times, as the number of authors is increasing rapidly. Have you ever considered selling on other platforms or as an independent seller? Yes, we tried several other platforms, but, at the end of the day, we focused on Envato only. We tried Creative Market. They have fewer restrictions and requirements than Envato does. However, it didn’t bring us a lot of money. We also tried Mojo marketplace, but our collaboration went sour. Perhaps in future, we will try some other marketplaces or selling the themes independently, but right now we are quite content with what Envato gives us. I am easily carried away by new ideas. I enjoy discovering new things and picking up new ideas. That’s basically how I got interested in computers and web. I like challenges. Making something that seemed impossible is really great. And when it is actually helping a number of people improve their business, thus improve their life, it certainly makes me happy! Did this interview bring up more questions that you would like answered? Please let us know if there is something Henry Rise or our team can help shed some light on. Do you have a story to tell? Share with us your experience with ThemeForest.